The Morclean 6 Bar 25 Litres vapour steam cleaner is an electric generator producing saturated steam, at 6 bar pressure and 180oC temperature. The 6 Bar 25 Litres vapour steam cleaner is ideal for degreasing and sanitising any object or surface effectively,even in less reachable places, without the need of additional chemicals. Operating times are greatly reduced, resulting in a substantial reduction in labour time and cost as well as saving on energy and resources. 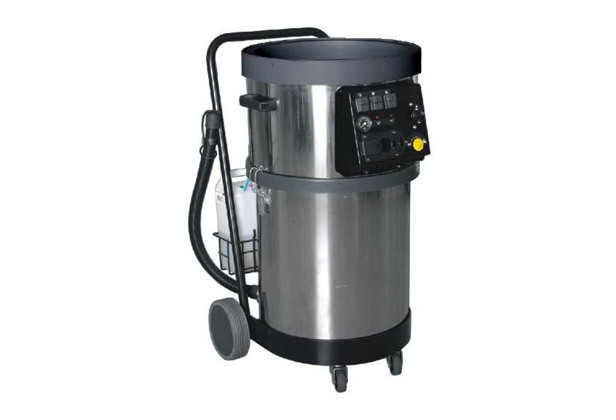 It is ideal for food and baking industries, private and institutional use, pharmaceutical and mechanical industries, dairy factories, building sectors and many more. Single phase or vacuuming steam generator performances normally decrease consistently when steam is continuously operated. With our technology, steam is still at 6 bar (158oC) even after 5 minutes of continuous use. Giving the best performances available for this category of machines. After closing the steam gun, in a few seconds steam pressure and temperature returns to their top value.